Manchester United have announced their Champions League squad ahead of their two-legged play-off against Belgium side Club Brugge, which kicks off on Tuesday 18th August at the Theatre of Dreams. 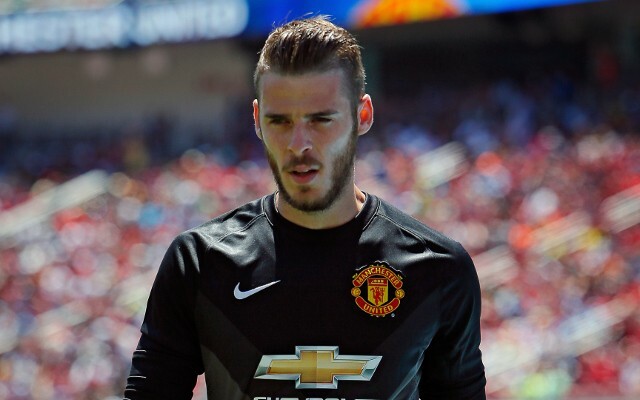 The big news is that David De Gea, whose name has been linked with Real Madrid before the whistle on the end of last season even blew, has been named in the European squad, suggesting that the Red Devils are confident that he will not move to the Santiago Bernabeu this month. De Gea was left out of the squad to face Tottenham Hotspur last weekend, watching on from the Old Trafford stands, fuelling speculation that Sergio Romero may become the club’s new No.1. Despite his inclusion in the squad, it’s still worryingly unknown to United supporters whether the Spaniard will be sold, and they will have to anxiously wait until the transfer window slams shut at 6pm on September 1st to know for sure. Third-choice goalkeeper Anders Lindegaard, whose future in Manchester is also uncertain, has been selected. All five of United’s summer signings – Sergio romero, Matteo Darmian, Morgan Schneiderlin, Bastian Schweinsteiger and Memphis Depay – have been named. United squad in full: David De Gea, Anders Lindegaard, Sergio Romero, Sam Johnstone; Phil Jones, Marcos Rojo, Jonny Evans, Chris Smalling, Luke Shaw, Antonio Valencia, Paddy McNair, Matteo Darmian, Tyler Blackett; Juan Mata, Michael Carrick, Daley Blind, Ashley Young, Ander Herrera, Marouane Fellaini, Morgan Schneiderlin, Bastian Schweinsteiger, Jesse Lingard, Andreas Pereira; Memphis Depay, Wayne Rooney, Adnan Januzaj, Javier Hernandez, James Wilson.